Deadpool no. 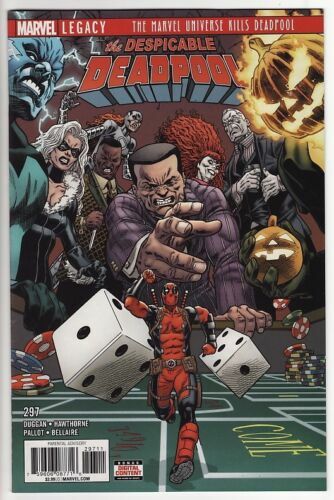 0, Marvel, 1998, VF/NM. 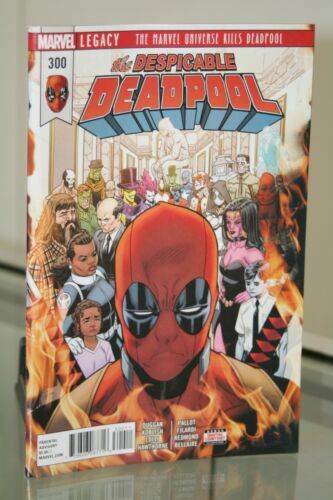 DEADPOOL #7, MANY ARMORS OF IRON MAN VARIANT - RARE NM. 2013. 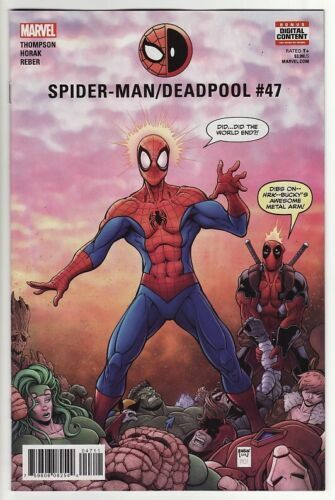 DEADPOOL'S SECRET WARS #2 1:25 VARIANT - 1ST APP GWENPOOL. Deadpool no. 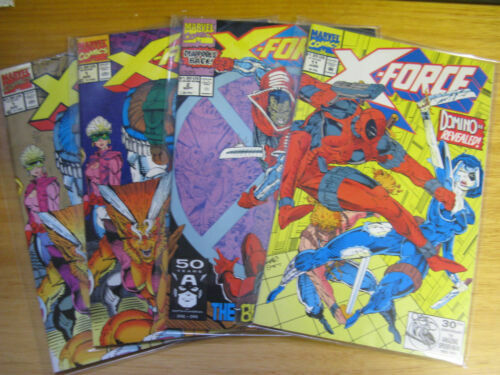 4 of 4, first limited series, Marvel, 1993, F/VF. 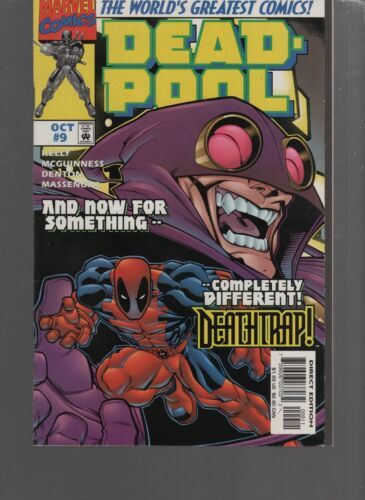 SPIDER-MAN/DEADPOOL #47 Marvel Comics 1ST MAJOR X APPEARANCE! Uncanny X-Men KEY! 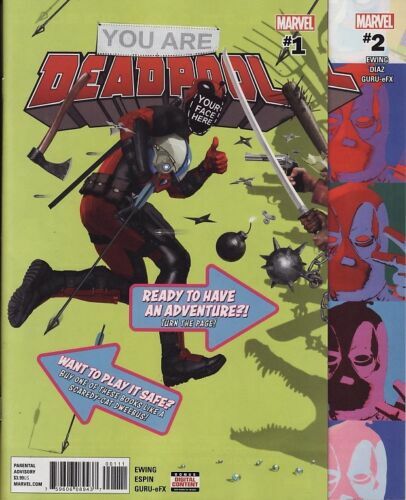 DEADPOOL THE CIRCLE CHASE #1. 1ST SOLO ISSUE IN HIGH GRADE. 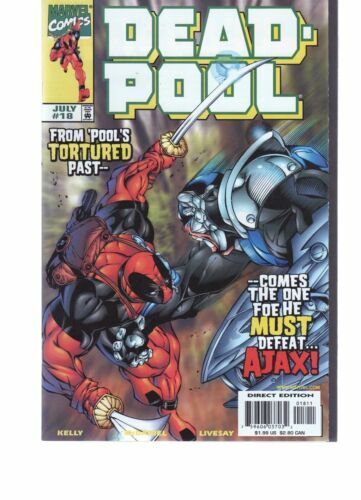 Deadpool no.1, first ongoing series, Marvel, 1997, VF-. DEADPOOL BACK IN BLACK #1,2,3,4,5, 2016 SERIES. 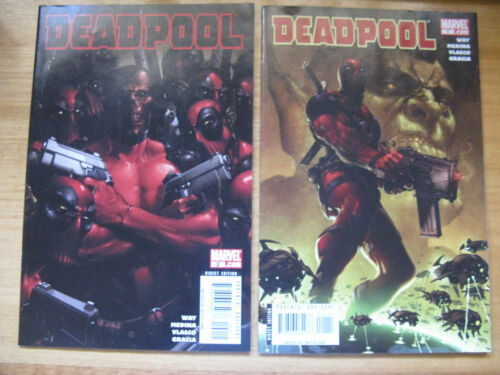 DEADPOOL ANNUAL #1 - 2011. VF/NM, SPIDERMAN, HULK. Deadpool no. 2 Second issue!!! 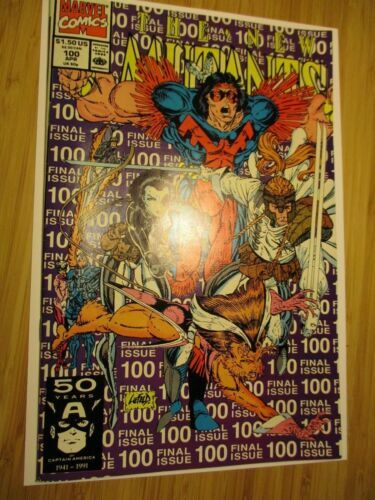 Marvel Comics RARE! Hard to find! 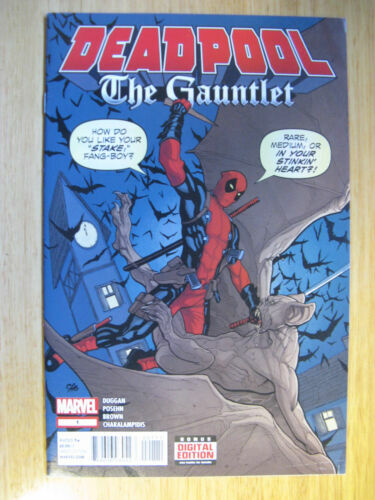 DEADPOOL MERC WITH A MOUTH #1,2,3,4,5,6,7,8,9,10. 1ST LADY DEADPOOL. X-FORCE #2. 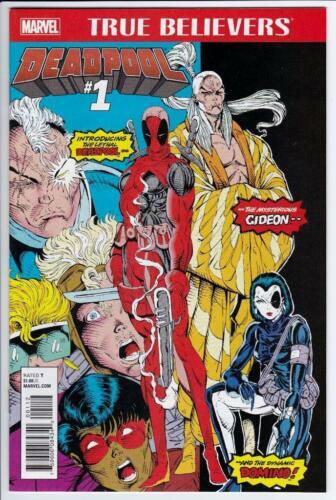 2ND DEADPOOL APPEARANCE. Deadpool no. 7, Marvel, 1997, VF+. DEADPOOL BI -ANNUAL 1. BRAND NEW.